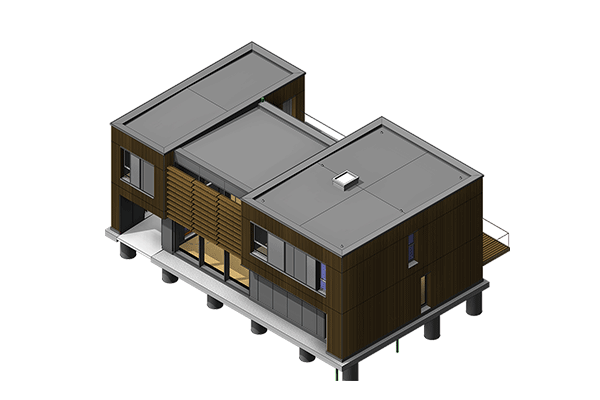 Commercial Spec Office and a faculty building for Kaplan College incorporating modular student residences. 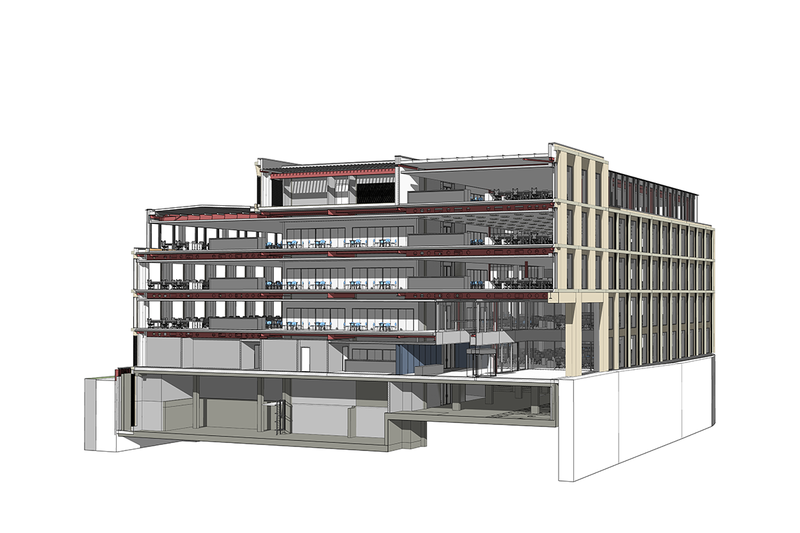 With a site close to the heart of historical Bath a sensitive and refined approach both in terms of massing and articulation was required. The use of Bath stone throughout adds depth and quality to the facade respecting its setting without compromising in terms of modernity. 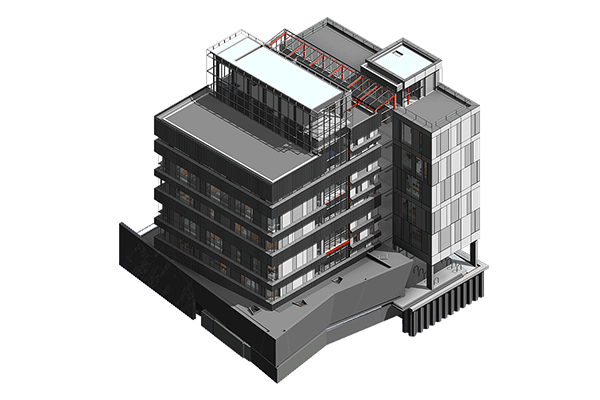 Deploi was able to support a keen but novice team in the transition from Stage 3 to 4 from traditional CAD to the use of BIM. 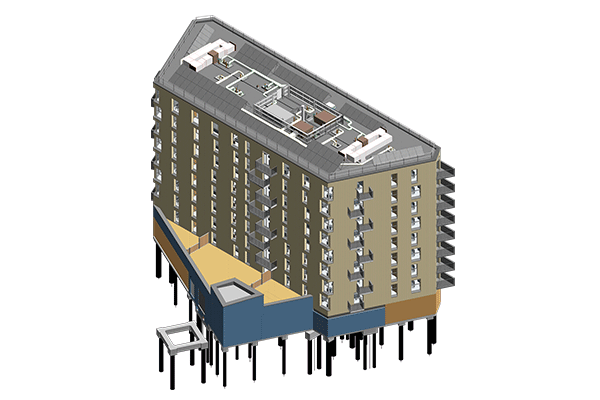 Not a Level 2 BIM project but a collaborative 3D BIM project fully delivered using Revit. 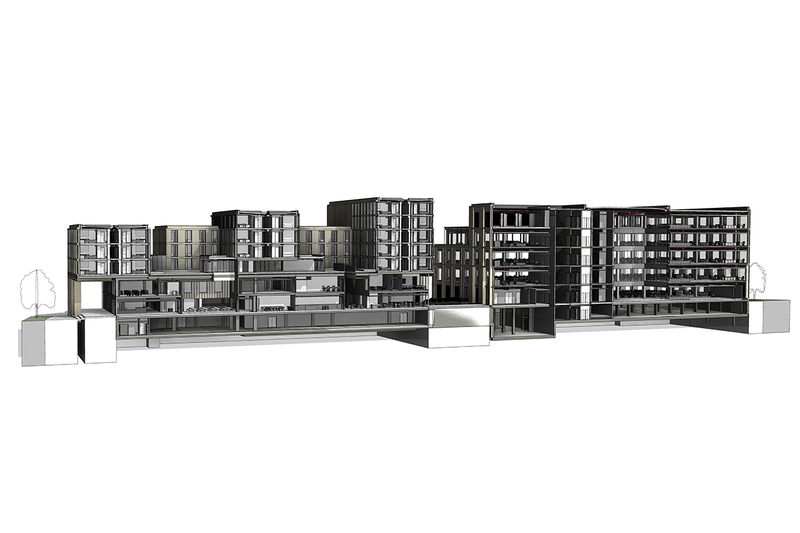 A large but rational design leant itself easily to the productivity gains available from the careful deployment of BIM. 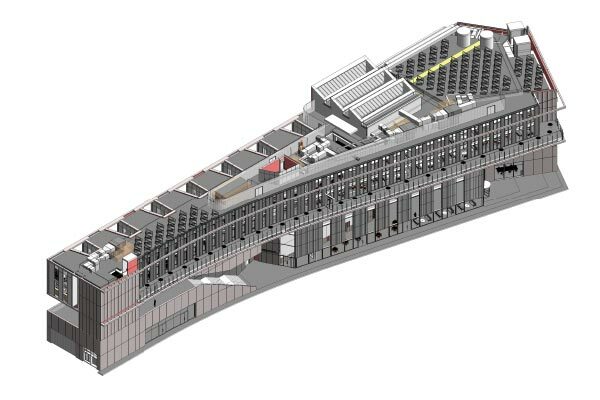 The challenge here lay in the deceptively intricate facade for which Deploi developed sophisticated and accurate parametric cladding panels to contribute to the quality and efficiency inherent in communicating design intent for the facade.